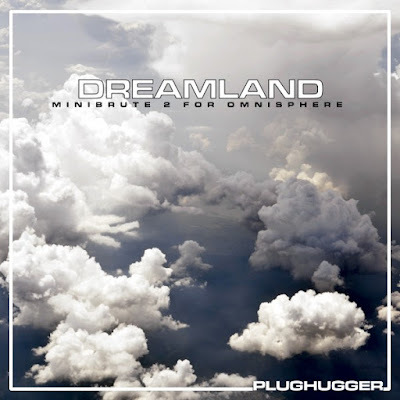 SAMPLE SOUND REVIEW: DREAMLAND for Omnisphere 2.5 by Plughugger - New Release! Price: 9.90 Euro / 50% OFF. Until the 17th of February you can buy Dreamland for 9.90 Euro. Use coupon code MINIBRUTE2 to get the discount. Ordinary price is 19.90 Euro.